Zero Trust is an architectural model that guides security teams on how to apply Zero Trust tenants to address the modern threat landscape. The model advocates a holistic approach to information security and puts special focus on processes and technologies that secure your data, wherever it resides. The objective is to strengthen data security and obfuscation — to limit risk derived from excessive user privileges and access. Benefits also include improved security detection and response with analytics and automation. Understanding key concepts at a high level is one thing. Properly implementing the model can be much more challenging. This presentation will therefore examine each of the requirements for adopting a Zero Trust model across the entire security stack. Key considerations as you plan your Zero Trust programs will be covered in detail along with the benefits of a platform versus fragmented approach to establishing a mature Zero Trust architecture. 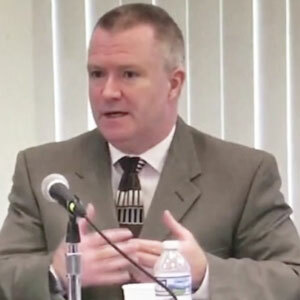 Kevin McPeak is Symantec's Principal Cyber Architect for the U.S. Federal Government. In this capacity, he serves as a technical SME for reputation based malware filtering, endpoint management, endpoint security, data loss prevention, encryption, secure mobile content delivery, cloud based cyber security, and new defensive technologies. Kevin has two Masters of Science degrees, with one being earned at Johns Hopkins University and the other being earned at Virginia Tech. He also holds the CISSP and ITILv3 certifications. Prior to working for Symantec, Kevin worked for several systems integrators to include CACI, Lockheed Martin, and Alphalnsight. Additionally, Kevin is currently an Army Reserve Chief Warrant Officer 3, with over 25 years of continuous service. In that military capacity, he is a veteran of both Operation Enduring Freedom (2003) and operation Iraqi Freedom (2010 - 2011).